It’s been a rough week here in Sluiter Nation. Eddie has been fighting something and has to miss out on school and fun this week. It’s so hard to see my buddy feeling like garbage. I’ve also felt incredibly overwhelmed this week. But it’s Friday now and we can hope the weekend will bring healing and rejuvenation for our little family, right? And I am going to kick it off with a HAPPY blog post! One that shares some love with some people I love. This month’s Old School Blogging Meme (hosted by Elaine and Tracy) is the one where we share five bloggers we love. Even though my blog-reading time has been severely slashed lately, there are a few bloggers out there I always catch up on…even if I am reading MONTHS of posts at a time. Tonya is one of the very best things/people/happy that the internet has blessed me with. I read her blog for a long time, but meeting (and rooming with) her at BlogHer11 sealed our friendship. Our oldest boys are the same age and we just have so much in common. I am in love with the way she shares so openly and rawly about her battles with infertility, the deaths of her parents, and just every day mom stuff. I can honestly say that Tonya is one of my best blogging friends. Every now and then God drops a special person in your life…one you don’t know that you want or need, but as soon as she is there, you find yourself thanking Him for her. Kelsey is that person to me. She is my neighbor, but until this past year, we didn’t really know each other. She was the one who took the first step. And I give her heaps of credit because my introverted self is a hard one to get through. She was persistence that we have play dates and she invited us into her home for neighborhood/friend BBQs and birthday parties. I am so glad she did. Our sons are great friends now, and I always know I have someone praying for me. I hope she knows I am praying for her and her family always too. I love Alex. I have read her blog forever because she shares my heart on so many topics, but she says them in an intelligent, succinct way that I never could. She is hilarious and awkward and kind and wonderful. I was able to meet her and spend time with her at BlogHer13 this summer and I count it among some of my favorite times from the conference. I felt so at ease with her…as if we meet up for lunch every week. That is the mark of a great friend, right there. She blogs about everything from politics to what her cats and dogs are up to. I’m noticing that all the bloggers I am listing are people I have met in real life. Jen is no different. Jen and I discovered just over a year ago that we are local to each other. How we did not know this for so long, I have no clue, but I am so happy she is in my REAL life now and not just my computer. Jen and I couldn’t be more different. We roomed together at BlogHer13 this year and she had about three changes of clothes each day…I had one. And all of hers were fabulous. Mine were maxi dresses. However since then, she has inspired me each day to dress so I feel pretty. She is also the one to blame for my new love of Top 40 music. Oh and she is HILARIOUS. MacKenzie is my sister. Well, as close to a sister as I will ever have. She is actually Cortney’s sister, but since neither of us have our own biological sister, and we are sisters-in-law anyway, we claim each other as sisters. She is one of the most important women in my life. She blogs about life as a mom to twin boys who are adopted from Ethiopia and being pregnant with their baby brother (due in a MONTH!). She writes exactly the way she talks, which is why her writing is so good. She is kind and giving and I love her. According to the rules, the five of these lovely ladies are now tagged to share their five favorite blogs in a post. But no pressure! Now tell me…who do you love to read? Who should I add to my Must Read List? I really love this month’s OSB, and finding more wonderful blogs to read, and people to get to know. I know a couple of people on your list, and will check out the others!! 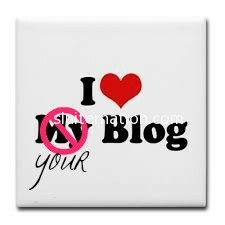 I love all the bloggy love! I am not familiar with a few of the blogs on your list – always great to discover new ones! where would we all be without our “blogging” sisters right? I love your blog, and always always will. I love the Buried with Children blog and I also read Alex’ blog. I have to check out the other ones, if you love them they have to be good! You’re lucky to have so many people close to you that blog, close as in proximity. That is so very cool. It is hard for me to find people here that “get it”. I really like Alex too. I met her at BlogHer last year and again this year. She is one of those people that is so real. You know you aren’t going to get any BS from her. I like that. Which I’m sure is not a surprise. Lovely list! If only I could find some of those people on Twitter! I read a few of them already and some are new to me. I am jealous that you know them all IRL. Oh this lists gives me ALL the warm fuzzies! 😀 I’m so happy we are all spreading the love around… thanks for joining in, Katie dear! Hehehehe! Thanks for the shout out. Much love, babe. And you are welcome for the love of Top 40s music. Great list! I’ve been reading Alex forever too. I can’t wait to meet her (and you!) in person some day. That’s a great list and I haven’t read most of them. I’m loving getting to check out new blogs. Oooooh! I only know one blogger on your list! I will have to get to know the others! Yay!